We have more than 2096 Media offers waiting for you! Need help placing your advert? 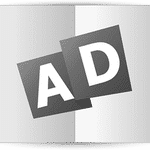 Successfully place Advertisements in newspapers, radios, cinemas, magazines and televisions with Placemyad. Through Placemyad’s unique advertising approach process, you are guaranteed to save up to 60% on every Advertising campaign big or small, every advertiser is served with cost effective advertising solutions. Need assistance in planning your Advertising campaigns in the most innovative way, maximizing your Return On Investment? Then Placemyad is what you need by your side. PlaceMyAd builds relationships with you which give us the opportunity to be involved in the strategic planning processes of the advertising campaigns. We are hands-on in our approach and offer media plans in trendy and well-known traditional channels. PlaceMyAd serves businesses across all categories and sizes – nothing is out of our reach. We thrive on challenge and use our collective and extensive experience in advertising. Thus, finding you an ad space in Newspapers, Billboards, Magazines, and Radio anywhere in South Africa. Our motto of “making advertising easy” refers not only to the advertising experts under our roof but also to the collaborative knowledge and experience our team has gained over the past few. Our journey began with our drive and passion for building and advertising businesses in media. By this, directing our energy in ensuring that businesses reach their potential customers. Get the lowest Ad rates ever! You can now book your Advertising space in any newspaper across South Africa through PlacemyAd, we are the most simplified and cost-effective platform for individuals and businesses to book their adverts in all major newspaper publications, television, radio, cinemas and billboards. We have helped thousands of businesses successfully, helped them reach their target market and provided significant cost savings in the process. PlacemyAd helps companies find advertising space in Newspapers, Billboards, Magazines, and Radio anywhere in South Africa.